When it comes to initiating positive change in our own lives, why do things get hard? Often when we’re trying to make positive changes in our life, there comes a point when we get stuck. We have a plan, we know the steps, we know what we're supposed to do. We start strong, we're on track for a day, a week, a month... but somewhere along the way we lose focus, we lose sight of the big picture, we start to drift. Has this happened to you? It's certainly happened to me. Why is this? Now, we could be talking about any kind of change: professional development, financial or relational changes, spiritual or personal development, education- whatever. For the sake of this discussion we'll keep it in the realm of physical health - 'cause that's how I help people - making changes to our health by attaining and maintaining a healthy weight. We start strong, but at some point we get stuck and it feels like were banging our head against a wall. We wake up with good intentions, but by mid afternoon the mojo is gone and the coffee in the break room just ain’t gonna cut it, so we go for the next best thing, which might be our coworkers bagel or a slice of pumpkin roll that our cubicle mate's better half made because "it’s the holidays!" Then, about a minute after the last bite goes down the hatch, we come to our senses and go "Whyyyy? I had such good intentions! Why do I end up under the bus every day at 3 PM?" Been there? Yep, me too. A lot of times what’s missing is a set of clearly defined goals. But more than that, what’s missing is the reason(s) behind those goals, the "why" behind the "what." I'll use myself as an example. If I say I want to lose weight, that’s OK but it’s not very clear - it denotes direction but not a destination. So I refine it, say I want to lose 40 pounds. 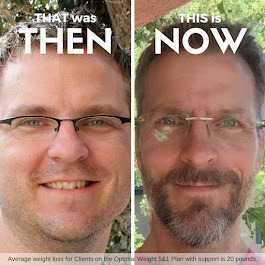 OK, better, but now ask why: Why do I want to lose 40 pounds? Because my doctor said I should? My wife said I should? My kids, my friends, my life insurance agent said I should? Man everywhere I go I got people shoulding all over me! And these people may be well intentioned, but they are all external to myself. I know from experience that when the motivating factors are extrinsic - outside myself - it’s not going to work, or at least it’s not going to work for very long. I need to get crystal clear on my goals, and my reasons - not someone else’s reasons - my reasons why those goals matter. Once I have my goals, my reasons, and the reasons for those reasons, then executing the plan, following a program, creating positive change, becomes natural expression of my intrinsic motivation. And there’s a simple way to keep these intrinsic motivations is front and center. Ready for this? Write it down, and post it somewhere you can see it. "That's it?" That's it. Let me illustrate. My background is in architecture and construction. At every project, inside every job trailer, the contractor has a plan center, which consists of a rack of drawings, and a table to roll them out and look at them so he can see the big picture, drill down on the details, and check overall progress. During the course of a project, the contractor consults the plans on a regular basis - daily; hourly; minutely if necessary - in order to keep the project on track and on schedule, so that at the end of each phase of the project everybody - the owner, the architect, the contractor - can verify that the project has been created in accordance with the plans. In contrast, can you imagine a construction project where the Contractor looked at the drawings once at the beginning of the project, then rolled them up and shoved them in the corner, thinking "I got this." Yikes! For the purposes of personal development, of creating health, creating positive changes in our lives, let’s create a Plan Center. Once we have everything written down - our crystal-clear goals, and our reasons why those goals matter - post them in your Plan Center. Keep it concise - one page, no more: this is what I want, and these are the reasons why I want it. Maybe your Plan Center is your bathroom mirror, maybe it’s a cork board at your office, or the wallpaper on your laptop, or the photo on your smart phone. Maybe you have copies of it in all those places. The key is to keep it someplace you can see it and consult it every day. This is not set-it-and-forget-it, that’s not how people work. Make it your morning meditation, your mid afternoon mantra. Do whatever you need to do to keep it top of mind. And let it be a living, breathing document, subject to ongoing refinement. As you progress, you're going to learn things you don't know now. That's a good thing, it's called being a human being. Incorporate this stuff into your plan: edit, revise, update, retool, reprint, and repost. Keep it where you can see it. If you don't... Well, I'm not gonna say that you won't succeed, but I'e been there, and when the "why" is unclear or undefined or it gets hazy, success can be elusive. And when we don't get the results we want, when our goals go unfulfilled, when our hopes and expectations go unmet, it's easy to fall into the thought trap of "oh well, I guess it's not for me." Believe me, I've spent years there. It's a lie. Change is possible, lasting, positive change. You just have change the way you think about how you think about it. Which is where I am now. If you can get your hands around this, if you can anchor your motivation and tie it to your actions, you can achieve whatever you want. 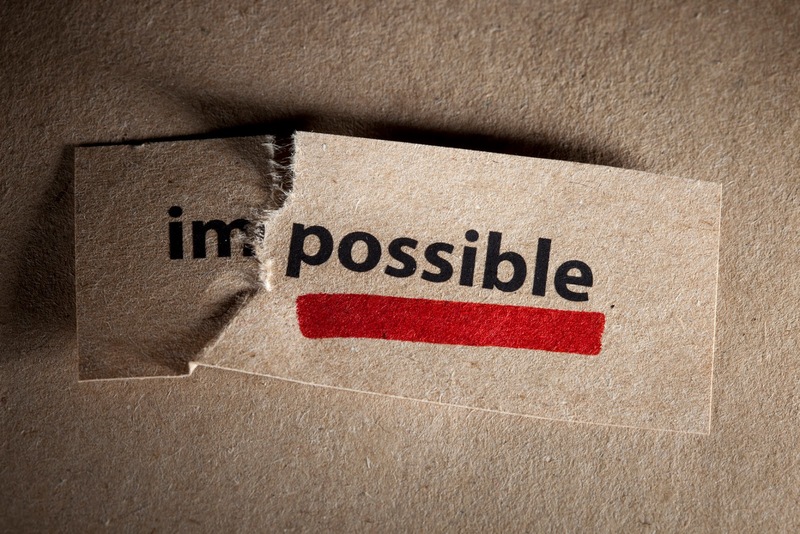 Impossible becomes Possible. If you're trying to initiate positive change in your life with regard to your health, weight, and fitness, if you're interested in any of this and you have questions, if you have goals but you feel like you're stuck in a rut - please reach out! Find me on Facebook (there's a link here somewhere), shoot me a friend request and PM me, or email me at DavidJamesPhillips[at]Gmail.com. Let's start a conversation, see if we can awaken your intrinsic motivation, and get you headed toward positive change in your life.